Classic. Elegant. Spacious. Suburban living in the city. You cant pass up the opportunity to live in this beautiful townhome that lives like a detached house. With a 24 foot width and over 1,100 square feet per floor, this home has one of the largest foot prints in NE DC. The main floor is an entertainers dream with chefs island, separate breakfast bar, double oven and an open concept that flows seamlessly from one space to another. The main level powder room gives you a subtle "wow" factor with a stone accent wall, and the view of Fort Lincoln from the back deck provides a sense of serenity and privacy hard to find elsewhere the city. Hard wood floors run throughout the main floor, foyer, mudroom, and stairs, and all bedrooms have new carpet. The entry level has a gorgeous guest suite with private bath. But, the crown jewel of this home is the master bedroom suite. A tray ceiling, sitting room, two walk-in closets, and an expansive bath with separate shower, tub, and water closet, provide an in-home oasis to the lucky homeowner! The community also provides access to convenient amenities at the Shops at Dakota Crossing, including Costco, Marshalls, Starbucks, and Lowes. 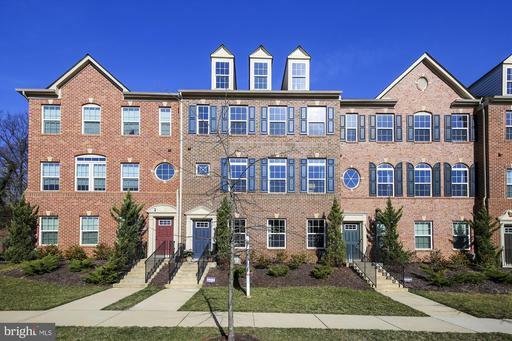 Youre also minutes away from Ivy City, H Street Corridor, Union Market, DC Brau, and the Hyattsville Arts District. Fort Lincoln Park is scheduled to undergo a huge transformation in the next few years including a new multi-use recreation and early childhood development center. The Fort Lincoln Community, the Villages at Dakota Crossing, and this "you cant miss" home, is truly a place to put down your roots and flourish.